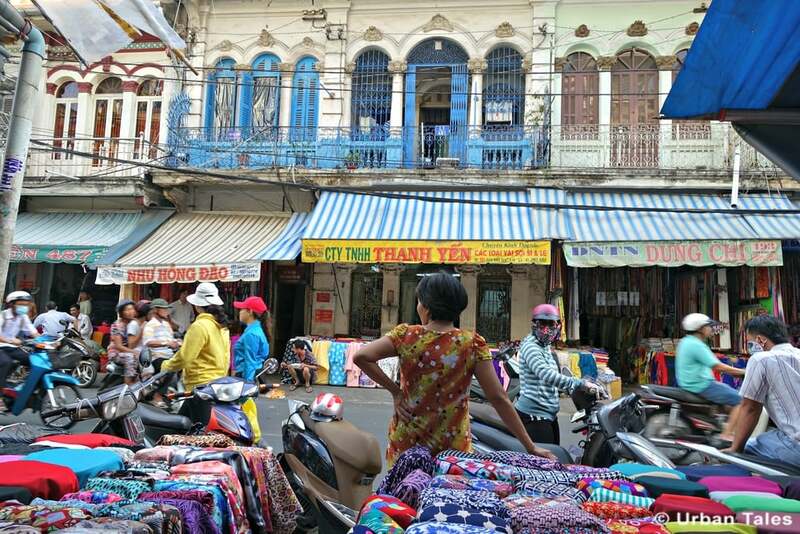 Ho Chi Minh city is a hustling bustling city with lots of modern buildings popping out everywhere…but the city also has ancient markets that truly characterize Vietnamese culture and its people. 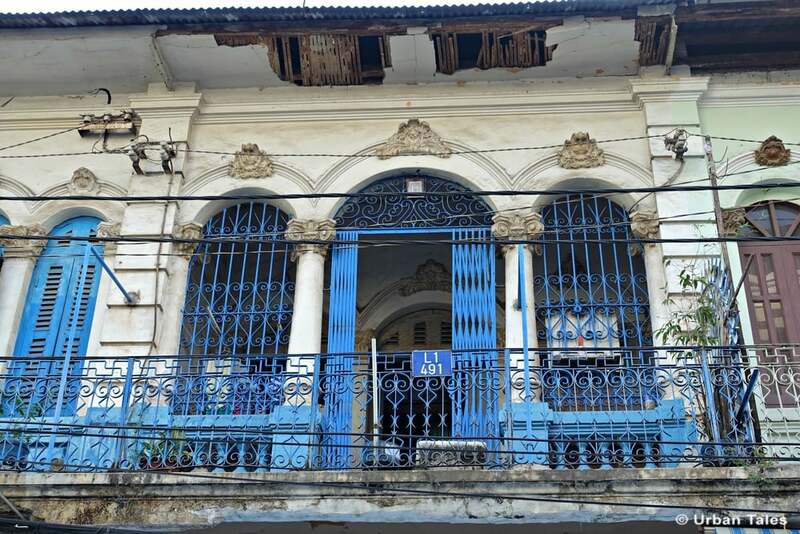 Wandering in Cholon can lead you to one of these old markets. 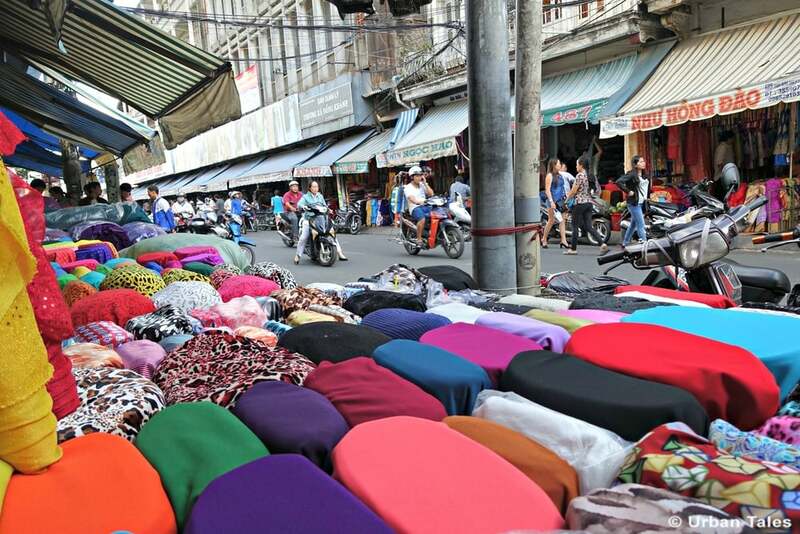 Soái Kình Lâm fabric market is one of them, and it is a must-do. 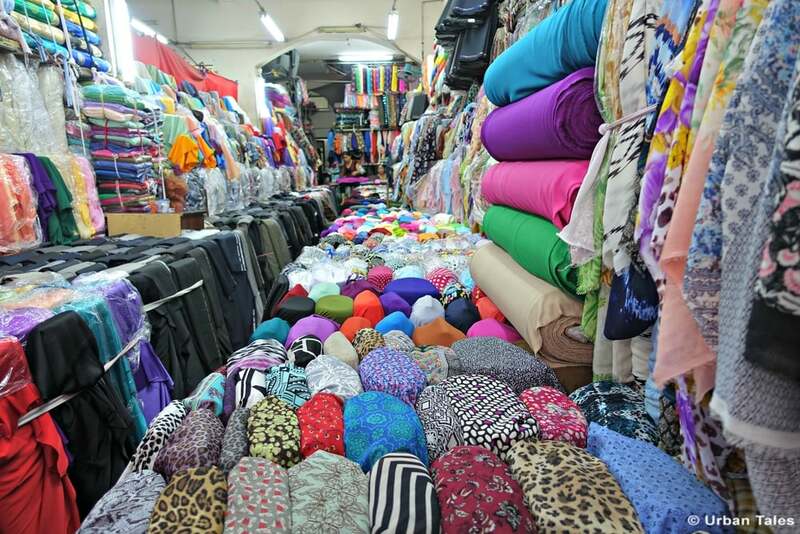 Popular for its large choice of fabrics, the market has got nearly 500 stalls. It is an endless selection of suit materials, colorful cotton for shirts, silk and material for curtains, denim, corduroy etc. 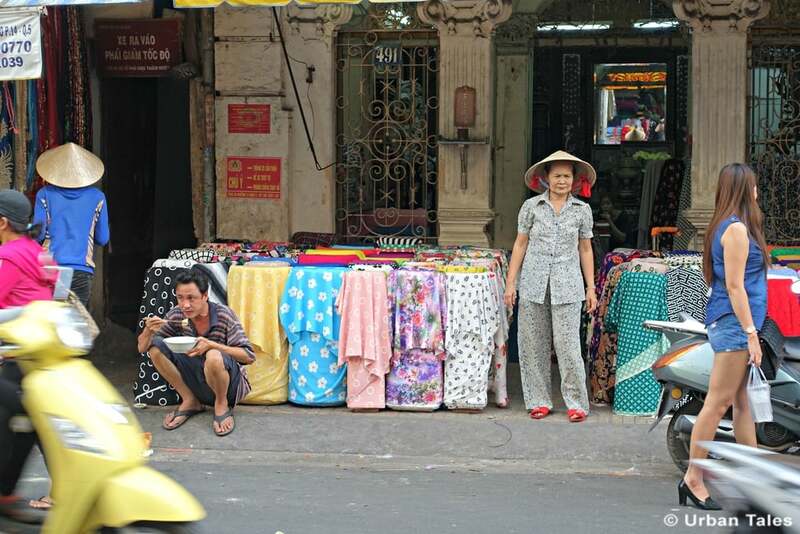 The market thrives with colors and one can see merchants endlessy rolling and unrolling bolts of fabric on the street. Stopping at “Dân Ngoan”store, you could meet the owner M. Dân, 60 years old. 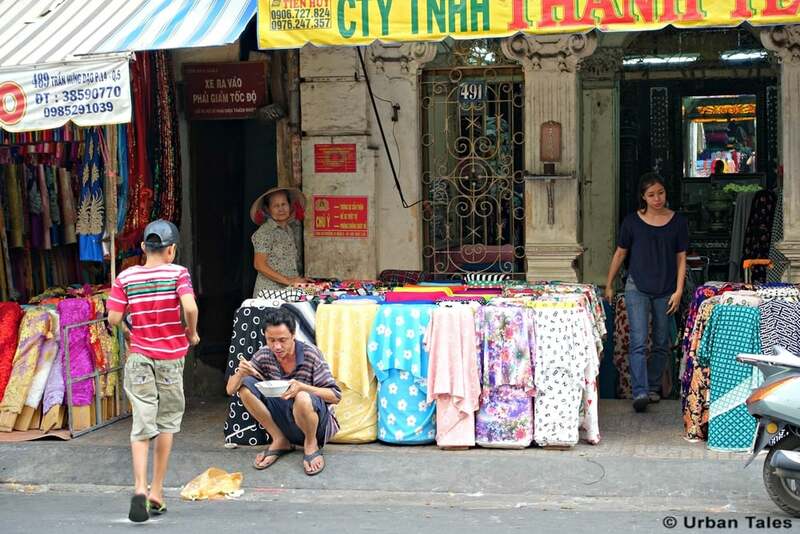 The fabrics he sells come from different countries, Vietnam, Cambodia, Thailand but mostly from China (70%). 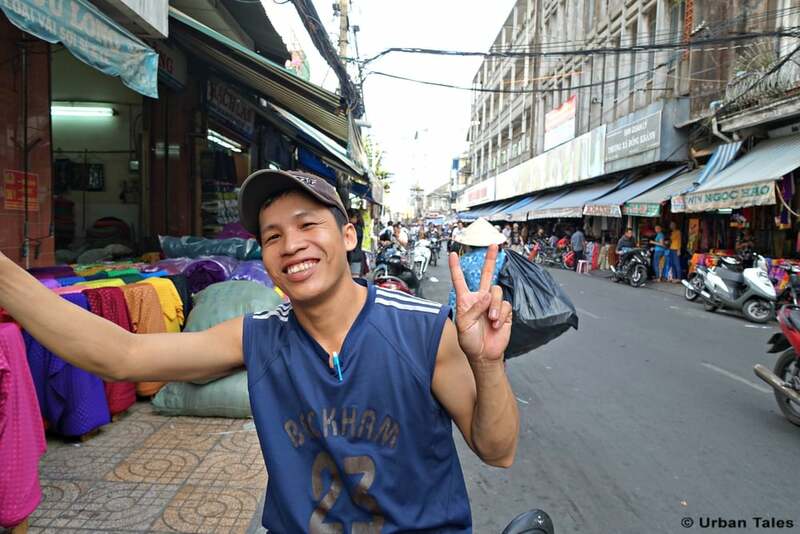 On an average day he’s got around 20 to 30 clients coming to his shop, and he sells around 200 meters of fabric every day. 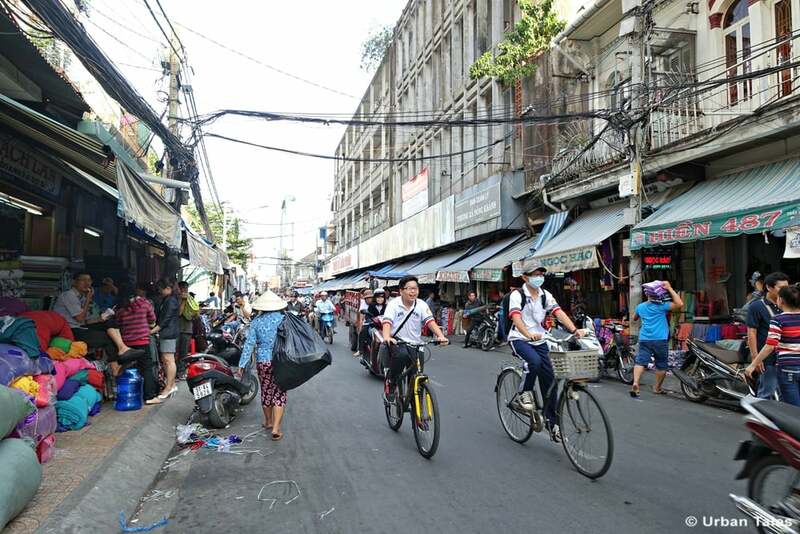 As most shop owners in the market, M. Dân works everyday except for TET. 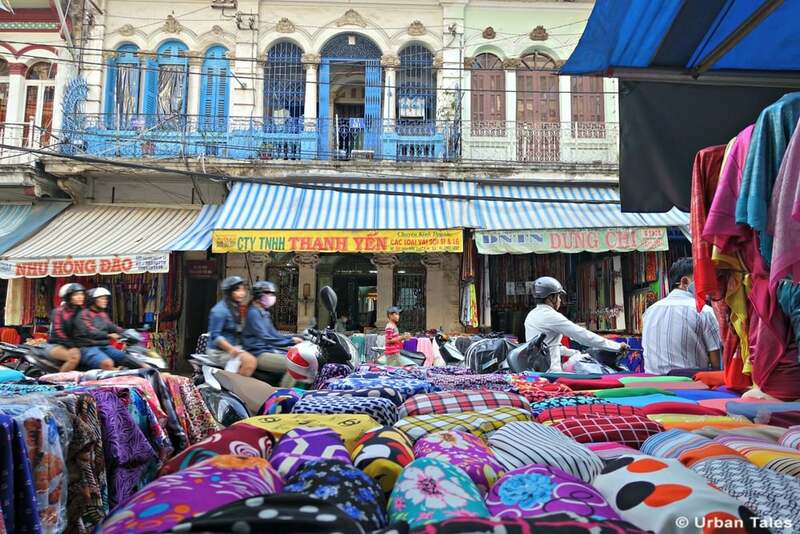 If you want to visit this fabric market and buy material in the heart of Cholon, book our self-guided tour and come investigate the strange case of Dr. Lam!